Hit the trail, any trail, this year in an adventure-ready vehicle! Consult our guide to overland vehicles and 4×4 rentals for an off-the-beaten-path vacation. Rugged RVs and trailers let you get off the pavement and over rough 4×4 trails, but they come with a hefty price tag. A new wave of companies in the U.S. rents these rugged campers (and some cool vintage models too). From modified vans to standalone adventure rigs, these rides will get you into the wilds in style. Editor’s note: This story originally published in 2015 and is updated with 2018 pricing and offerings. 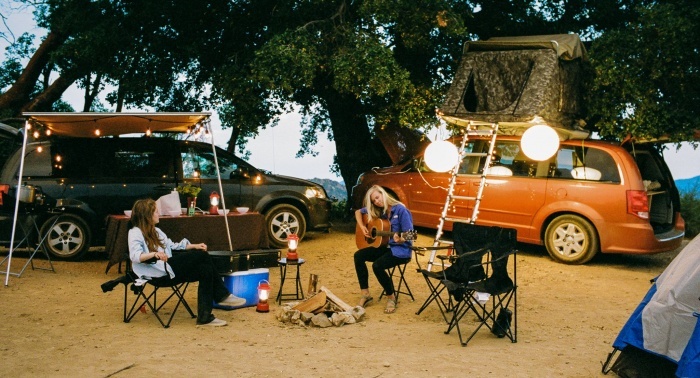 Off The Grid Rentals offers custom-made teardrop trailers and rooftop tent setups. 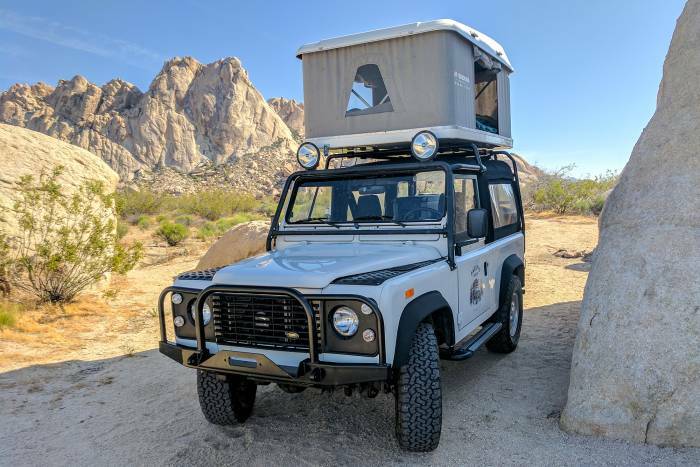 It’s based in Orange County, Calif., and rents to the “family-oriented outdoorsman” who wants to take their weekend car camping to the next level. 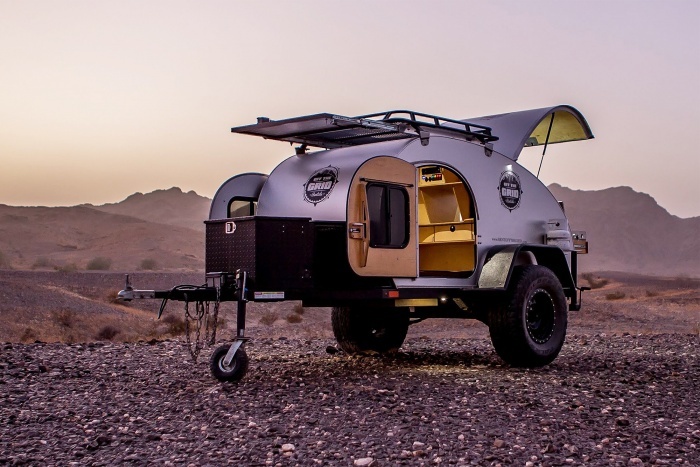 The company’s custom Socal Teardrop “Krawler” trailer has beefed-up suspension and a low-slung body designed to handle rough roads. The rear of the trailer opens to reveal a story space and either a stove, cooler, or fridge (depending on model). The interior and exterior have LED lighting powered by an onboard battery. Trailer rental is about $113 per night. Off The Grid also rents rooftop tents. They set up on your vehicle and are accessed by a small ladder from the ground. Equipped with a foam mattress, all of the bedding stays in the tent when it is closed. They mount to most standard roof racks and rent from $45 per night. 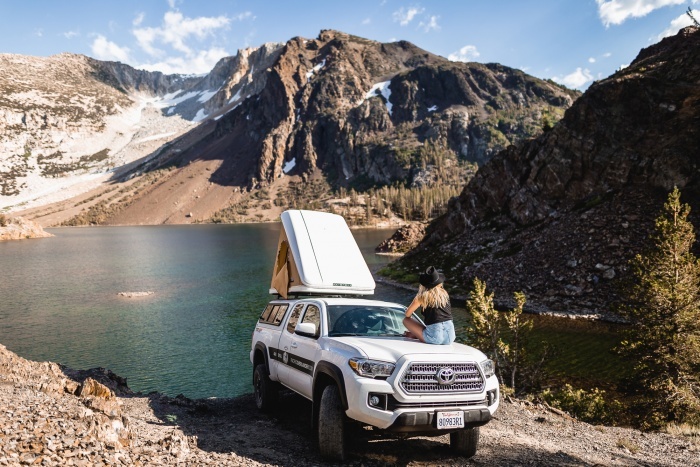 Based in Golden, Colo., Adventure Travel Sports Rentals rents Sportsmobiles, Tigers – rugged camper-vans that are accustomed to tackling backcountry roads and trails – and Toyota 4Runners. 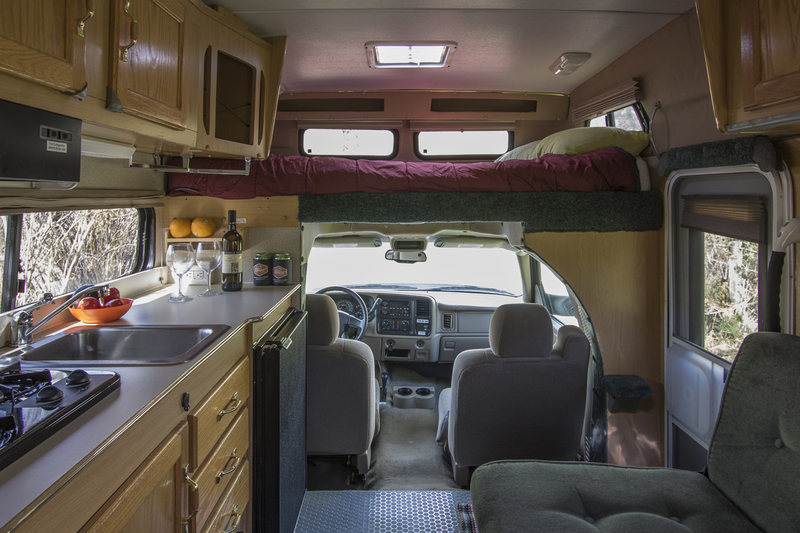 The vans have a few luxuries of home, including a sink, refrigerator, and enough room to sleep four people. A BBQ feast for the first or last meal of the trip is included in the price. Sportsmobile EB350 (pictured) starts at $250 per night. 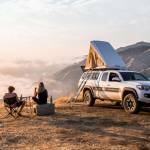 Launched in 2016, Pacific Overlander has 4×4 SUVs with rooftop tents for rent. Plus, each vehicle comes with a large cooler, camp table and chairs, stove, and cooking equipment. Just reserve a campsite, or pick a route and go! Rentals begin about $150 per day in a Toyota Tacoma or 4Runner with a three-day minimum. And for those interested in premium (more costly) options, Pacific Overlander also offers Land Rover Defenders, Chevy Silverados, GMC Sierras, and Jeep Wranglers. And Pacific Overland provides unique trip ideas, with locations like Big Sur, Zion, Death Valley, and Joshua Tree, to name a few. Some of the trips include a reduced rate at below $100 per day. Looking for a little more luxury during your excursion? Tonto Trails offers a guided tour service that will hand-pick trip routes for you and prepare hot meals and cocktails at the end of each day. 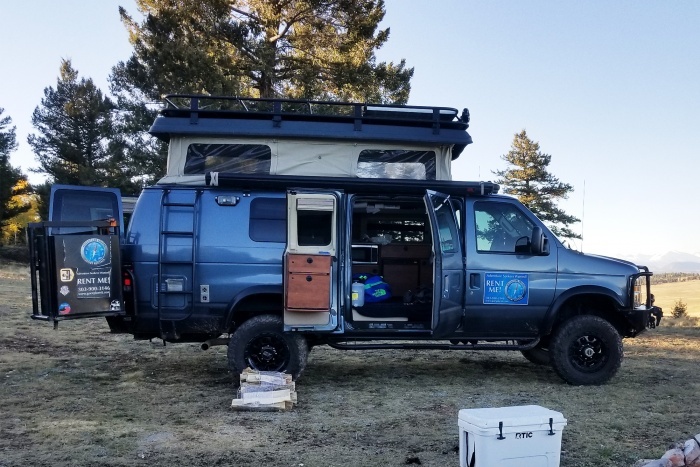 Based in Durango, Colo., the company also has a variety of off-road campers to rent – 4×4 Sportsmobile campers and Dodge trucks with pop-up campers – that come stocked with camping gear. They sleep up to four people. And prices start at $2,500 for a six-day excursion. 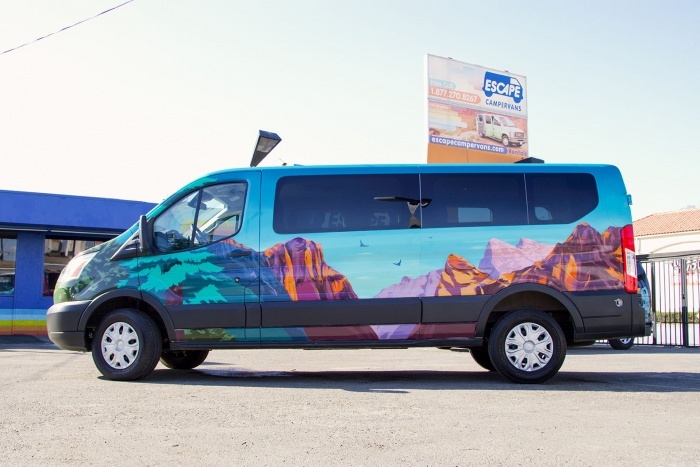 Ride with style in one of the more than 450 hand-painted campervans from Escape Campervans. 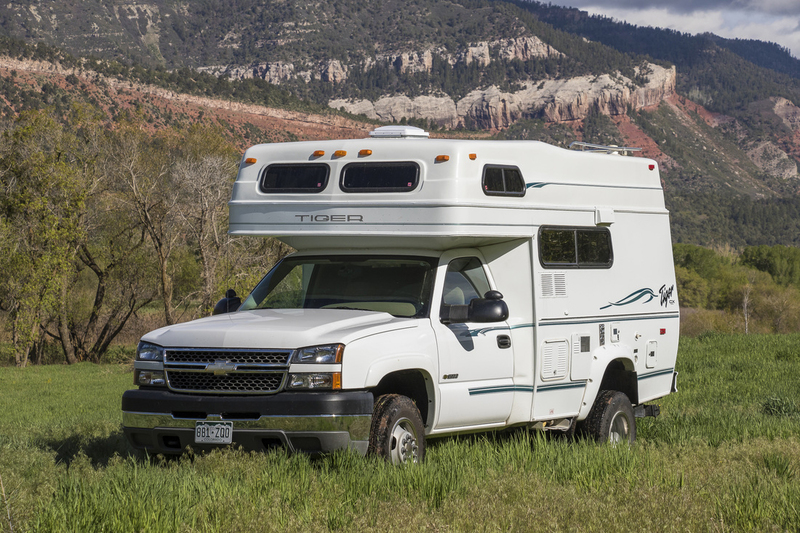 With 14 years of business experience, Escape offers vehicles fitted with a full bed and linens, two-burner stove, cooking necessities, running water, a sink, and camp chairs. 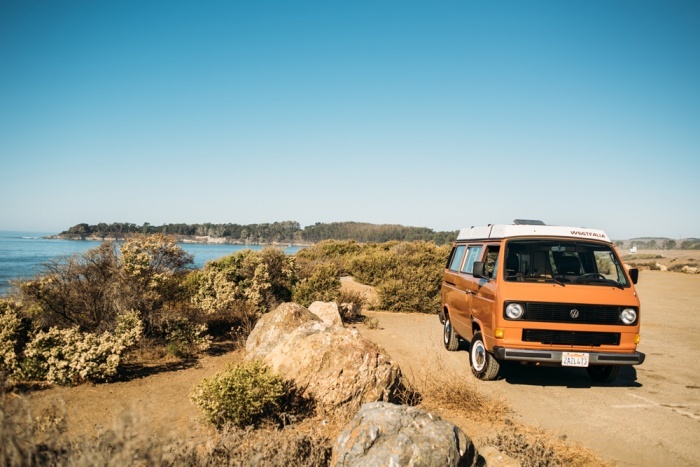 It offers three model options: the Ventura (seats four, sleeps two), the Maverick (seats five, sleeps two), and the Big Sur (seats five, sleeps three). You can rent Escape vehicles from Los Angeles, Las Vegas, San Francisco, Seattle, Vancouver, Phoenix, Denver, Atlanta, New York, or Miami. Pricing starts at $133 per day for three days in the Maverick vehicle, but the per-night cost goes down for longer trips. Lost Camper USA rents converted vans at $38–58 per day. From Dodge Caravans to Ford Econolines, these vans come with storage space and a fold-down bed. They’re not as off-road capable as some of the others on this list but will serve as a fine camp or crag basecamp. 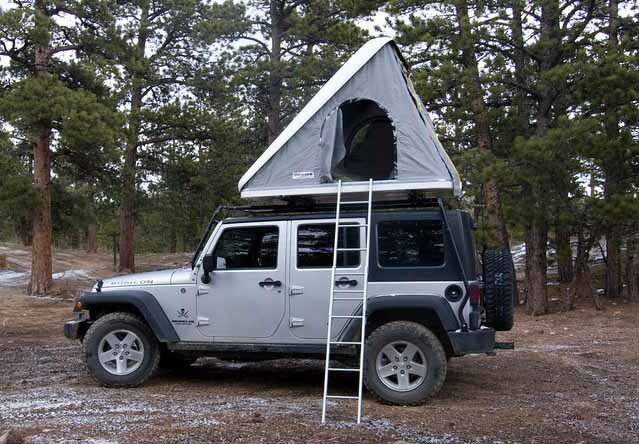 Some of the rentals include a fold-up rooftop tent and are great for money-minded families and dirtbags on a budget. Rental pickups are available in San Francisco, Salt Lake City, and Los Angeles. 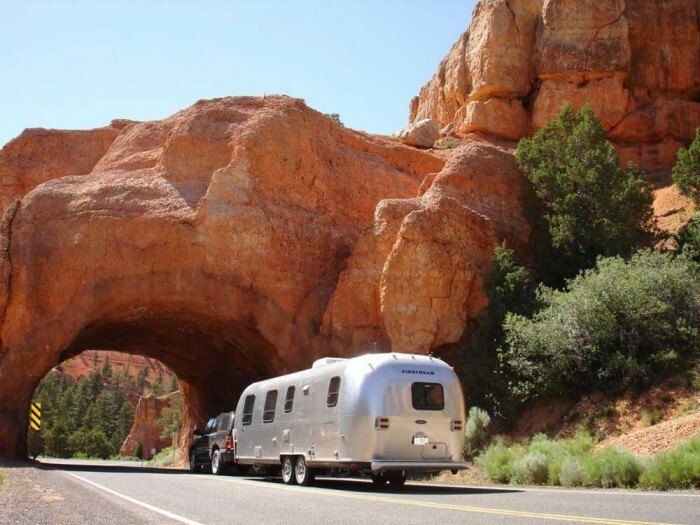 Get your fix for the great American road trip with a modern airstream trailer from Airstream 2GO. Available in 23- and 28-foot models, the campers have all the luxuries of a new travel trailer, but with the throwback feel and design of the classic Airstream. The company includes a GMC Yukon Denali to pull it. Locations in Las Vegas, Los Angeles, and Bozeman, Mont., for pick up. Rates start at $1,900 for three days. Want to relive your hippie-surfing days? Vintage Safari rents its fleet of 12 VW camper buses for trips up and down the California coast. 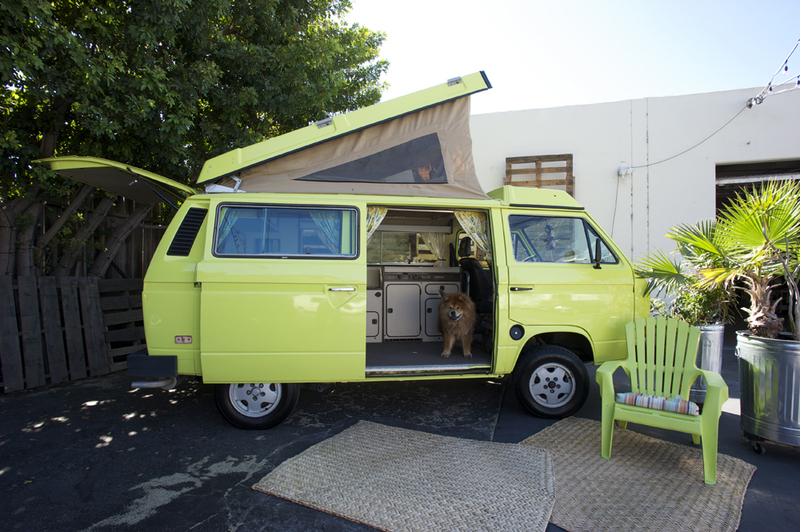 The VW “Westy” has gained a cult following across the world; these have been restored, can sleep up to four, and come in a variety of styles to match your personality. Although the company is based in Los Angeles, the vans can be dropped in San Fransisco. Rates start at $139 per day.